Robert Clarke, maintenance operations manager for the city’s Street Maintenance Division, says Seattle is better prepared for the winter than it has ever been. 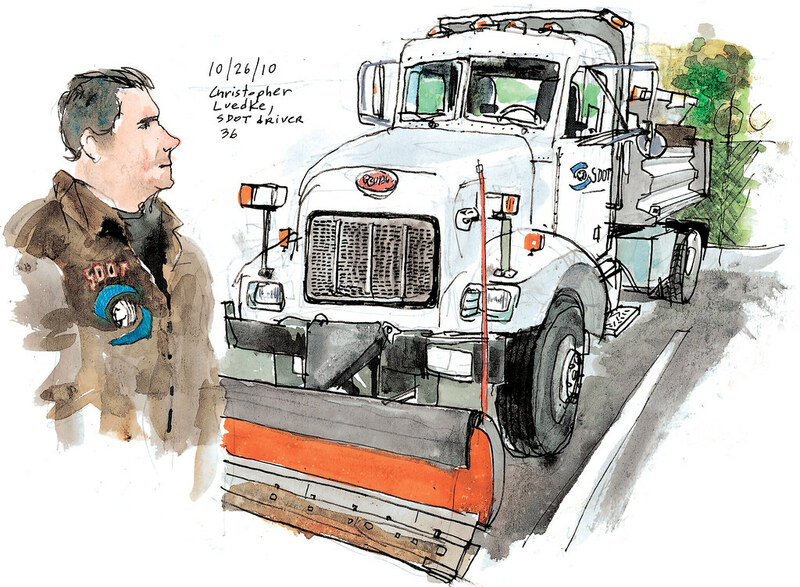 In addition to five hundred tons of salt I blogged about on my last post, the tanks a few feet away from where I stood to do my sketch are filled with 20,000 gallons of salt brine. The liquid salt will be used by four anti-icer trucks to pretreat streets before storms. During the storms of 2008, “we didn’t have any of this,” said Clarke. What else will be different this year? Clarke said there are 30 snowplows available, four more than in 2008. They will be equipped with GPS tracking devices and have been assigned dedicated plow routes. Plows will push snow to the right, not to the middle of the road, so prepare to shovel around your car if you park in the city. I will stick to taking the bus. I wonder if they’ve got their tire chains ready. 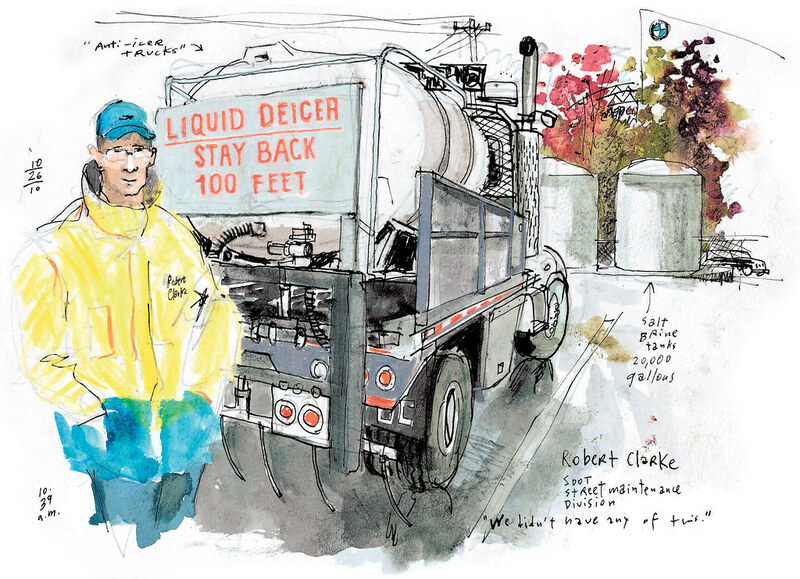 Seattle Department of Transportation driver Christopher Luedke said people may not notice what they do all year, when they’re hauling concrete and asphalt rubble to and from construction sites. During a storm, “it’s one of those times that you feel you are making a difference,” he said.